Hatred is a game that has recently been under a lot of criticsm from the media and the internet at large due to the trailer that was released. This trailer showcased a man in a jacket and jeans, talking about how he hates the world and wants to destroy it. This is then acted upon, in the way of a public shooting. Which, understandly, hasn’t been taken very well by the general public. This trailer can be viewed here. I had the opportunity to sit down and discuss the recent controversial game “Hatred” with one of it’s developers. We talk about the recent media attention that the game has received, the inspiration behind it, and the way that the developers are reacting to the criticism of the project. All content is shown as received, with English cleaned up for clarity, when necessary. My first question is how are you, and would you like to tell me a little about Hatred as a game? Hi! I’m pretty fine, just a little tired of all interviews and stuff. I really would like to get back to full-time development, all that hype which is going on isn’t something I’m used to. 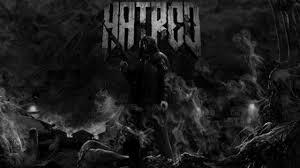 🙂 Hatred is simply a “twin stick shooter” (we didn’t even know before that’s how people call it), but aimed to be kinda quality game as for it’s genere. Our team is experienced in making FPS games, so we’re used to high level of detail and making something totally different happens to be quite a challenge. We’re experiencing some problems, we didn’t have to deal before and it’s very interesting experience. Back to the game – one of the main features is of course the unique setting, main character and what exactly player has to do out there, but all that stuff you probably know already. Next, what inspired the development of the game, and why have you chosen these directions? Postal 1! I always wanted to create a “better Postal”, didn’t exactly like where they went with the series (into that insane humour). I wanted to make a darker, more serious game, go to exactly opposite direction. And without the fucked up controls that the game had. 😉 We chose this because we can afford that type of a game, with our team’s size and our budget we can’t do something very sophisticated. The second reason is the free marketing we’ve expected, because of controversy. We didn’t know it’ll be that huge, all in all it’s a game with very tight target and definietly not for everyone. The idea of an isometric shooter isn’t a new one. Do you feel that by using it, you enable the player to distance himself from the characters actions at all? Next, where do you feel that Hatred will fit into the ongoing discussion about video games causing violent tendencies? As we can see it fits pretty well. We just want to show people that we’re not affraid of all this thrown upon us and we can make game as we like. It’s an artistic freedom and as long as we don’t break any laws with game’s content (and we don’t), we can do whatever we like. If Hatred has to be a new scapegoat, feel free. We know that there is no scientific proof of games making people violent. Violence was present since humanity existed, we wouldn’t feel any responsibility if some stupid kid would excuse his stupid deeds with our game – it could be any other game, movie, book or being dumped by his girl. Games are always easy to blame, as a new medium, but still nobody can prove anything. And finally, how would you respond to the idea that Hatred is a “overly violent” game, that isn’t “necessary”? What do you aim for players to get out of experiencing “Hatred”, the game? Hatred can be found at it’s website here! There’s an interesting blog post on the first page of the site which I feel should be read by people interested or opposed to this game. Thanks for reading, and I’ll see you next time!